What: Property owners, concerned that their real property tax values are too high may file a complaint to reduce the same. Those tax values, multiplied by local tax rates result in the amount that property owners will pay in real estate taxes. When: Complaints may only be filed between January 1 and March 31 (April 1, 2019 for tax year 2018) to contest the prior year’s tax value. For example, if a complaint is filed in 2019, it relates back to the tax value of the property as of January 1, 2018. Pursuant to Ohio statutory law, as well as Ohio Department of Taxation rules, real property in all Ohio counties is required to be reappraised every six years, and updated every three years. Normally, owners can challenge a county auditor's valuation just one time in each three-year cycle (a “triennial”) unless the property was sold in an arm's length transaction, the property lost value due to a casualty, substantial improvement was added to the property or there was an increase or decrease of at least fifteen per cent in a commercial property's occupancy. Time is definitely “of the essence” with regard to tax complaints. If a complaint is filed even one day late, it will be dismissed. Where/How: Property values are challenged via a "Complaint Against Valuation" that is filed with the local Board of Revision (“BOR”). The same complaint form is used statewide. It can be downloaded from county auditor websites as well as from the Ohio Department of Taxation's website. It is important to fill out the form carefully, because incorrect information can result in the dismissal of a case. Why: Basically, complaints are filed to petition for lower property values, because lower property values means lower property taxes. Common reasons to challenge property values include declining market values, declining rents/increased vacancies for income-producing property, obsolescence and casualty damage. In addition, people who recently purchased a property in an arms-length transaction for less than their county auditor's value, often have a strong basis for filing a tax appeal (due to case law which provides that the sale price in an arm’s length transaction between a willing seller and a willing buyer is usually considered good evidence of value). What if there is no recent sale involved? Does it still make sense to challenge your property’s increased valuation? The answer is, of course, it depends. It depends on the amount of additional taxes that will need to be paid, for how long, and the attorney, appraiser and other fees involved with a complaint. For example, let’s say the county increased the value of your property by $20,000. While that number is significant, if your county’s tax rate as a percent of market value is 2%, your taxes would only increase by $400/yr. On the other hand, a $100,000 valuation increase on a commercial property with the same tax rate would result in taxes increasing by $2,000/yr. 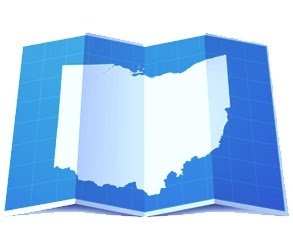 Since valuation in Ohio is updated every three years, you could be faced with a $6,000 increase (in our commercial example) if the year of increased valuation is the first year of a triennial. If an appraisal costs, say $2,000, and an attorney will take the case on a contingency basis, the challenge would be worth it. You basically need to do a cost/benefit analysis for every situation in order to determine if it makes sense to challenge your property’s increased valuation. § Any other entity named in Ohio Revised Code Section 5715.19 (A). Background: At one time, the list of who could file a tax complaint was limited to attorneys and individual property owners, as a result of then current court precedent, most notably, Sharon Village Ltd. v. Licking Cty. Bd. of Revision, 78 Ohio St.3d 479 (1997). In the aftermath of the Sharon Village decision, the General Assembly enacted legislation (H.B. 694, effective March 1999) that (among other things) expressly authorized certain non-attorneys to file tax valuation complaints on behalf of property owners, namely: (1) spouses; (2) appraisers; (3) real estate brokers; (4) accountants; and (5) officers, salaried employees, partners or members of a corporation or other business firm owner of real property (See Ohio Revised Code Section 5715.19(A)). Two sub-issues (regarding who may file): Two sub issues have arisen, however, after the supposed clarity that H.B. 694 and O.R.C. 5715.19(A) was initially thought to provide. The first sub-issue centers around what a non-attorney agent may do during the tax complaint process, without being guilty of the unauthorized practice of law. While, at first glance, H.B. 694 appeared to provide some practicality and legal cost savings by allowing a number of non-attorney agents to file real estate tax complaints, the Supreme Court of Ohio in Dayton Supply & Tool Co., Inc. v. Montgomery Cty. Bd. of Revision, 2006-Ohio-5852 clarified that while a corporate officer (or other authorized, non-attorney) may prepare and file a complaint with a local board of revision, without engaging in the unauthorized practice of law, the non-attorney cannot do much else. In other words, corporate officers and other authorized, non-attorneys cannot make legal arguments, examine witnesses or undertake any other tasks that can only be performed by an attorney. The second sub-issue is whether or not O.R.C. 5715.19(A) limits non attorney agents who may file complaints on behalf of an owner to those specifically listed in the statute; and if not, what other, non-attorney agents may tax file complaints. Greenway Ohio, Inc. v. Cuyahoga Cty. Bd. of Revision: The “second sub-issue” discussed above was recently analyzed in Greenway Ohio, Inc. v. Cuyahoga Cty. Bd. of Revision. Specifically, this case involved whether or not a property manager is among the non-lawyers authorized under O.R.C. 5715.19(A) to file a valuation complaint on behalf of a property owner. In Greenway, the CEO of real estate management company “Property Advisors” prepared and filed (in January, 2016) a tax complaint seeking to lower the value of the property that Property Advisors managed for the owner (Greenway Ohio, Inc.; “Greenway”). The Orange City School Board of Education (“BOE”) filed a motion to dismiss the complaint on the basis that the Cuyahoga County Board of Revision (“BOR”) had no jurisdiction to hear the matter, since Mr. Sweeney, the CEO of Property Advisors was not a person authorized under O.R.C. 5715.19(A) to file a tax complaint on behalf of the owner. The BOR indicated that Mr. Sweeney was not authorized to file (and accordingly, engaged in the unauthorized practice of law), however, the BOR issued a decision on the merits, upholding the then property value of the Cuyahoga County Fiscal Officer. Greenway then appealed to the Ohio Board of Tax Appeals (“BTA”). Without conducting a hearing, the BTA determined that Mr. Sweeney was not a person authorized under O.R.C. Section 5715.19(A) to file a tax complaint, and that therefore, the BOR had no jurisdiction. The BTA then remanded the case back to the BOR with instructions to dismiss the complaint. Greenway then appealed to the Ohio Supreme Court. III. III. What is the Moral of this Story? Don’t get “knocked out of the gate before the race starts.” Hire a qualified attorney to file your complaint and do what lawyers are trained to do (i.e., make legal arguments, examine witnesses, file appeals and undertake any other tasks that can be performed only by an attorney). If a non-lawyer is determined to have engaged in the unauthorized practice of law, because he/she was not authorized to file a tax complaint, or he/she validly filed a tax complaint (pursuant to O.R.C. 5715.19(A), but then crossed the “practicing law line” during the hearing, the complaint can be dismissed, and if dismissed, you won’t be able to file another complaint until the next tax year. Municipalities usually defend their point of sale ordinances as valuable tools to increase the value of properties within their borders and ensure such properties and the residents occupying the same will be and remain safe. While these ordinances often contain a “criminal component”, municipalities rarely enforce the criminal penalties, but deem them necessary to cause compliance. Notwithstanding the laudable intentions behind this type of point of sale ordinance, and the usual reluctance of municipalities to enforce the criminal penalties associated therewith, the United States District Court for the Northern District of Ohio in Pund has followed the lead of the Southern District of Ohio (in Thompson) in holding point of sale ordinances with criminal penalties, but without warrant procedures (such as those formerly enacted in Oakwood, Ohio and Bedford, Ohio) unconstitutional violations of the Fourth Amendment of the U.S. Constitution. Bedford’s former Point of Sale Inspection Ordinance required homeowners to obtain a Certificate of Inspection (“Certificate”) before selling their home. A Certificate, valid for twelve months, was issued after a building official inspected “all structures or premises used for dwelling purposes and all secondary or accessory structures to determine whether such structures or premises conform[ed] to the provisions of th[e] code.” On inspection, the building official could enter the property at any reasonable time and inspect all areas of the home, including basements, bathrooms, electrical equipment, roofing, walks and driveways. Obtaining a Certificate required homeowners to apply for and consent to a warrantless inspection of the home and to pay an inspection fee ranging from $50 to $200. If the home did not pass inspection, either (i) the homeowner was required to perform repairs before the sale, or, (ii) the buyer could deposit money in escrow to ensure payment for repairs to be made after the sale. Homeowners that violated the ordinance or refused an inspection were guilty of a misdemeanor and could be fined and imprisoned. The City of Bedford put forth two basic arguments: 1) it was entitled to summary judgment on plaintiffs’ claims because its amended ordinance rendered such claims, moot; and 2) it did not commit any constitutional violation because the plaintiffs consented to the inspections. The court in Pund stated, as a general rule, that “The Fourth Amendment protects people in the privacy of their homes and against ‘unreasonable searches and seizures’;” and that searches of the home by the government “conducted outside the judicial process, without prior approval by a judge or a magistrate judge [e.g., via a warrant], are per se unreasonable subject only to a few specifically established and well-delineated exceptions.” As you may recall from high school government class, “Plain view”, “search incident to a lawful arrest”, “exigent circumstances” and “voluntary consent” are some of the more common “warrant exceptions,” where a warrantless search or seizure would still be considered reasonable and not run afoul of the Fourth Amendment. In holding for the plaintiffs, the court in Pund first recognized and agreed that voluntary consent to search is in fact a well-established exception to the Fourth Amendment’s warrant requirement, by simply stating that, “A homeowner’s voluntary consent to a search satisfies the government’s Fourth-Amendment obligations.” However, just as general rules of law always have exceptions, exceptions to exceptions are just as common, and ruled the day in Pund v City of Bedford. Quoting precedent (establishing an exception to the consent exception) by the court in Thompson, and others before it, the court in Pund agreed with the plaintiffs and held that “consent given under threat of criminal penalty can never be deemed voluntary.” Applying the facts to the law, the Pund Court summarized that the Bedford inspection ordinances were unconstitutional because they required a homeowner to obtain a certificate in order to sell a home, which in turn allowed a building inspector to enter and search the property without a warrant, failure to comply was punishable as a misdemeanor of the first degree, and consent to the search could not be considered voluntary because of the criminal penalties which would ensue without such consent. The case is still moving forward, however on issues involved in determining class action participation and the amount of compensation due. However, as provided in Pund v City of Bedford (and Thompson V. City of Oakwood), it seems that Ohio point of sale ordinances that call for criminal penalties (whether or not actually enforced) will most likely be held unconstitutional, at least where no administrative warrant procedure is provided. In other words, if it was not clear after Thompson, it is definitely advisable now for those municipalities who have not yet done so, to clearly review their point of sale/inspection ordinances and revise them accordingly.